Deepesh Patel: I’m Deepesh Patel, Editor at Trade Finance Global. Trade is changing rapidly. Aside from the macroeconomic and geopolitical challenges we see today, the digitalisation of the hugely complex supply chain is anything but straightforward. It’s a physical problem – we have exporters, importers, freight forwarders and financiers. But ultimately, a lot of the challenges surface around data and the exchanging of it. Blockchain and distributed ledger technology presents an opportunity to digitalise trade, but also comes with challenges. We’re going to be hearing from Alisa DiCaprio, Head of Trade and Supply Chain at R3. Alisa is a leader and at the frontline of blockchain technology, looking after standards, governance design and trade strategy at R3. We mentioned in last week’s podcast, these are so important for making trade digital. Alisa joined R3 from the Asian Development Bank, where she looked after digital trade, trade finance and innovation as a senior economist. With that in mind, TFG has partnered with BCR at their Blockchain Consortia, being held in London this May. For listeners of this podcast, by using the promo code TFG19 you’ll get an exclusive 10% discount at Consortia 2019 in May. Deepesh Patel: So, without further ado, here’s Alisa DiCaprio, joining us from New York! Hi Alisa, thank you so much for joining us on today’s podcast! Alisa DiCaprio: I’m excited to be here! AD: R3 is an enterprise software company that builds and maintains a blockchain platform called Corda. We started out as a consulting company where we were building applications in blockchain for a consortium of banks, and we were building on various blockchain platforms on Ethereum, Multichain, but we quickly realised when it got the deployment there was no regulated financial institution that was going to deploy a public blockchain in their internal system. So, we went back, surveyed our member banks, and asked them what they would need a blockchain to do. They told us, we took that back and we built Corda from the ground up with the requirements of the financial institutions that were members of our consortium. DP: Trade is reportedly worth US$9 trillion per year. Yet, according to consistent reports and statistics from the ADB and ICC, we have a US$1.5 trillion dollar trade finance gap, mostly due to SMEs and emerging markets, who can’t access finance to trade overseas. We know trade and engine for economic growth. So what exactly is causing this problem? AD: I think this is a terrific question and I’ve been working on this particular issue for a long time. That number was calculated by the team I ran when I was at ADB. What we know about that trade finance gap, like you mentioned, is that it’s mostly SMEs, mostly emerging markets, and the cause for this is really about visibility. Small- and medium-sized enterprises are terrible at signalling their fitness to be financed. So a lot of the finance requests that go unmet are not necessarily because the SME is a high-risk proposition; it can be anything from the fact that the SME doesn’t have the proper paperwork or hasn’t recorded the transactions in the right way, to potential concerns about KYC that can be verified, because the data isn’t there. We’ve already recognised that SMEs are a potentially valuable market and their ability to be financed is something that’s important, both from a bank perspective and a development perspective. So, I think the entire industry understands that and is speaking to solve that problem. There’s some really interesting ways the blockchain is being applied that will be able to do that. I strongly believe that. We’ve already recognised that SMEs are a potentially valuable market and their ability to be financed is something that’s important, both from a bank perspective and a development perspective. DP: You and your team has written a number of papers on trade and blockchain, and the potential. I guess we’re here to get an overview of blockchain for trade and supply chain. But let’s turn it around and talk about the customer pain points. So, from the bank’s perspective, what are the current pain points and challenges for these customers? AD: From a bank perspective, there are really two things that blockchain seeks to solve that are current pain points. The first one, as we have just discussed, is really about visibility. Where are the goods? Where are the documents? Are they the correct documents? Do they have the right data in them? The second is about reconciliation, which is similar but not the same. In trade, you have various documents that are exchanged between different systems. Some of those systems are electronic, but the problem is they don’t talk to each other. You might, for example, have a completely digital banking system. But then when you’re taking in the different pieces of data and information from the buyers and suppliers, they’re using a different digital system. So you’re not actually able to talk with each other – you’re inputting the data yourself manually that you’ve imported from the partners. It really slows down the process a lot. DP: Let’s go into bit more about digitalisation. As you mentioned earlier, it’s not a new concept, and there has been a lot going on in the past to try and make attempts to digitalise trade. In this case, we’re talking about eBills of Lading, eUCP standards, the bank purchase obligation and OCR techniques at these instruments on the market that are not good enough right now. AD: Those are all very good instruments that are being built by our partners, but I think they all have challenges. What it boils down to is that each of them is very different. It’s easy to make something digital, but you really need to build a lot more into the ecosystem in order to allow for ease of usage and the expansion of the ecosystem. So how do you build a network effect is really where it becomes challenging. We do have electronic Bills of Lading – and there’s lots of parties (including Commerzbank) that have built different systems that can allow for electronic Bills of Lading – but there’s really only three companies that have been certified. So when you talk about electronic bills of waiting, even though the general population that could build those is very large, the actual functioning population is quite small. I think BPO is quite similar as well as for BPO to scale, it requires the entire ecosystem to be on board with the same platform. And in trade that is something that’s very difficult to do; you’re never going to have 100% of your parties on the same platform. There will always be a point in your trade transaction where you’re going to need to hit print, or to submit some documents to a customs agency that requires a physical signature or a stamp. So for these reasons, when you have centralised systems that are seeking to solve the problem it just doesn’t work. That’s really why blockchain is fundamentally different from these previous digital solutions, even though it is also a digital solution. DP: I guess the network effect is really the focus and the potential opportunity to work in conjunction with some of these technologies and, and finance instruments. Where are the key opportunities for blockchain within the trade finance space? And what is R3 doing here? AD: In the trade finance space, we’ve seen two major projects that are going into production this year. The first is about Letters of Credit – that’s project Voltron. And the second is a suite of open account solutions, which is the project Marco Polo. And both of these I think are fighting for very different reasons. The first is with Project Voltron – Letters of Credit are notoriously difficult and slow and very unpleasant to actually do. And by having that on the blockchain, we’ve shortened the process from taking five to ten days to taking less than 24 hours. And that is accounting for the different time zones and things like that. Now, Marco Polo is a little bit different. Because open account is much more of a kind of wild west space, right? It means something different to everybody that uses that word. But really what Marco Polo has done in that project is seek to open opportunities for new types of finance. And that’s really where the blockchain has its greatest opportunity. It’s not just about digitalising the process, which is critical as well, it’s about how we enable finances for different parts of the trade transaction. There’s a number of other solutions that we have built on Corda as well, because like I mentioned earlier, Corda is just a blockchain platform – it itself does really nothing. So we rely on our partners to then build applications on top of that. Within the partner ecosystem, we have everything from trade, credit insurance, open account, Letters of Credit, and all sorts of other solutions that are relevant and trade everything from logistics to maritime. We have payments with the GPI link that we built, which enabled Corda to be used with swift GPI to allow payments on the blockchain. So, there’s a whole lot of really exciting things going on. And it’s really re-architecting, the way that we do trade today, in a way that I think is going to be great for SMEs. And it’s really allowing a lot more opportunities to offer clients in ways that we haven’t done before. Corda versus Hyperledger Fabric – What’s the Difference? DP: We recently spoke to some of the architects at we.trade last week and they mentioned that having competition within their Corsortia space is good. So, tell me what are the key differences between the Corda platform which R3 have built and IBM’s blockchain platform, which uses hyperledger fabric? AD: I think they’re right. When you have competition in this space it is very, very important, because competition is what leads to innovation. So I think it’s terrific that we’re seeing all of these different platforms going to market. 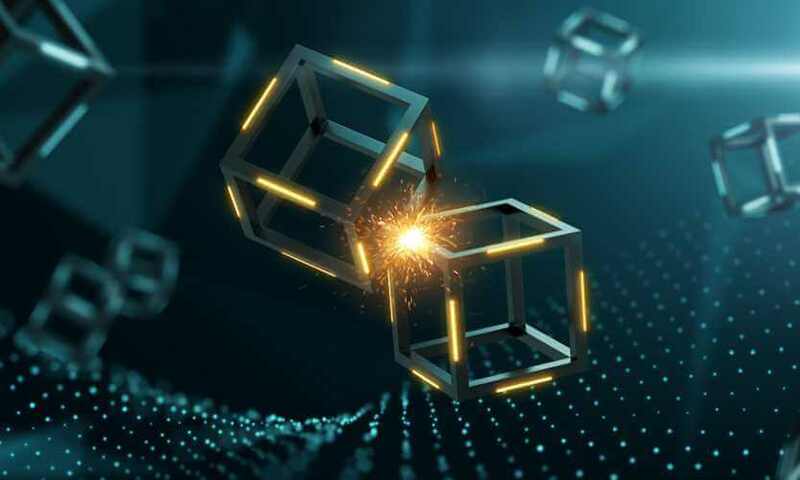 There’s definitely fundamental differences between hyperledger fabric and R3 Corda – both of them are our private permission blockchain, which is why you see so much traction happening in trade finance, and insurance for both of them, because if you’re looking at an enterprise blockchain solution, it really needs to be one that’s suitable for an industry which is highly regulated. In terms of the major differences between fabric and Corda, it really boils down to the ability to scale and interoperability. Corda projects are all interoperable with each other. So if you build a trade finance solution on Corda, it can transfer assets and interoperate with a payment solution or a trade credit insurance application. What this means for our members is that you don’t have to build up every single piece of the application that you want – if you want to plug in trade, credit insurance, just use a different app. On Corda you can do that, whereas with fabric, they are not interoperable between each other; you’re building an individual siloed business network. The second way that they’re different is really in terms of how you can expand the network. So of course, if you want to add another supplier or another bank, it’s quite straightforward because we don’t do global broadcast, we only do point-to-point transfer of data. Whereas with fabric, they use channels, so every time you bring in a new entity onto the network, you need to build a new channel. And that increases engineering complexity and makes scale a little bit difficult. We have found that a number of different applications have re-platformed from Fabric on to Corda, because of the problem that they run into with channels that they couldn’t scale up. If you have 25 nodes, that’s fine, but once you have 1,000 or 10,000, scale becomes very challenging with fabric. DP: Do you think there will ever be a way that banks working on the Hyperledger fabric platform will be able to interact with other banks working on the Corda platform? AD: I think that’s going to be teethed in the future. This is something that we’re all working towards. 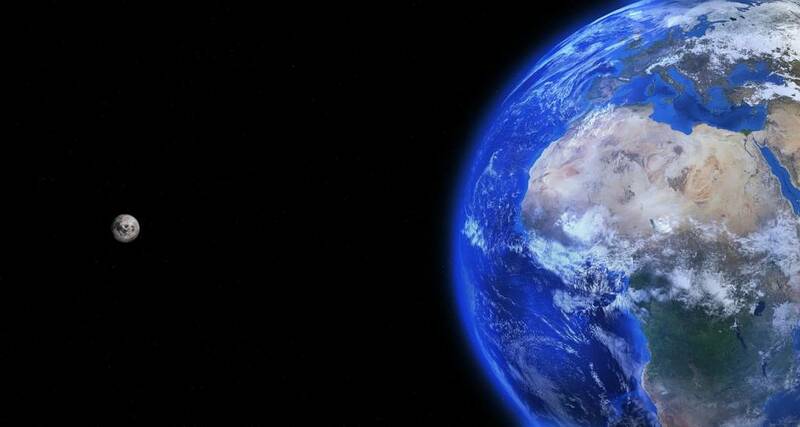 One prominent initiative is the Universal Trade Network (UTN). What this does is it looks at how to build the infrastructure for interoperability when it becomes possible. So the reason you don’t see interoperability between different blockchain platforms today is because it just doesn’t make sense – none of the different platforms are mature enough to make it sustainable to build bridges between them. So, for example, if it’s possible to build a bridge between Hyperledger fabric and Corda, then when you upgrade fabric, it goes to a different version and the bridge breaks. Everything is backwards compatible with in Corda, so Corda is stable, but certainly Ethereum, as one example, isn’t. It therefore wouldn’t make sense to build a bridge today. Going back to the earlier question about how to make interoperability happen, UTN is at the three fundamental features you would need for interoperability once the platforms are ready. These three things include communications protocols, identity framework, and data format. So basically, what we’re doing with UTN is looking at how to create a standardised state object for things such as an invoice. However, it is still very much a work in progress. DP: In terms of next steps, what are you most excited about? What are the next few years looking like for both R3, and also trade finance with respect to digitalisation using DLT? AD: One of my biggest focuses right now at R3 is building out our work in the supply chain. Because what we found is as we’ve gone to pilot with these different trade finance applications, that we’re engaging corporate, and they’re asking us, what else can we do next? Corda was built for regulated financial institutions but there are plenty of other sectors that are just as regulated as banks. In terms of R3 more generally we’re doing some really exciting things. Trade is very much about the exchange of data. In general, we think about trade as being the exchange of goods, right? You have a buyer and a seller, and they’re shipping something between them. But in fact, for a bank, it’s really about how you get the data about those goods between different parties. How do you then reconcile the data and make sure that it’s correct? So a lot of what we have focused on recently is connecting different sources of data, which is what blockchain is great at. A lot of what we’ve been focusing on is where are the sources of data? How can we use them? And how can we use them to open up new sources of financing and new opportunities, both for SMEs and for banks, to be able to interact and collaborate? DP: Thank you very much, Alisa, for your time with us today. Really appreciate you coming in and talking to us. And we’re really excited to hear some of your colleagues speak in a few weeks at BCR Consorita 2019. 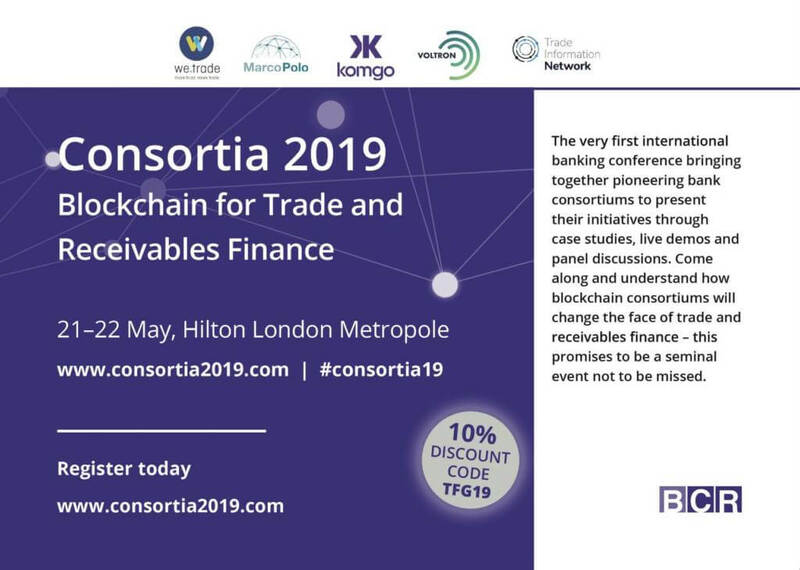 Trade Finance Global have partnered up with Consortia 2019 to give our listeners an exclusive 10% off the event on the 21st and 22nd May, in London. Simply use the discount code TFG2019, or visit tradefinanceglobal.com for more information. We look forward to seeing you in May, alongside many of the key players and bank consortiums, including, WeTrade, Marco Polo, Komgo and Voltron. Alisa DiCaprio is the Head of Trade and Supply Chain at R3 in New York City. She joined from Asian Development Bank where she was a senior economist working on digital trade, trade finance and innovation. She has also worked in both the public and private sectors on export promotion, trade negotiations, and labour issues. Her PhD is from MIT, and she holds a BA and MA from Johns Hopkins University.